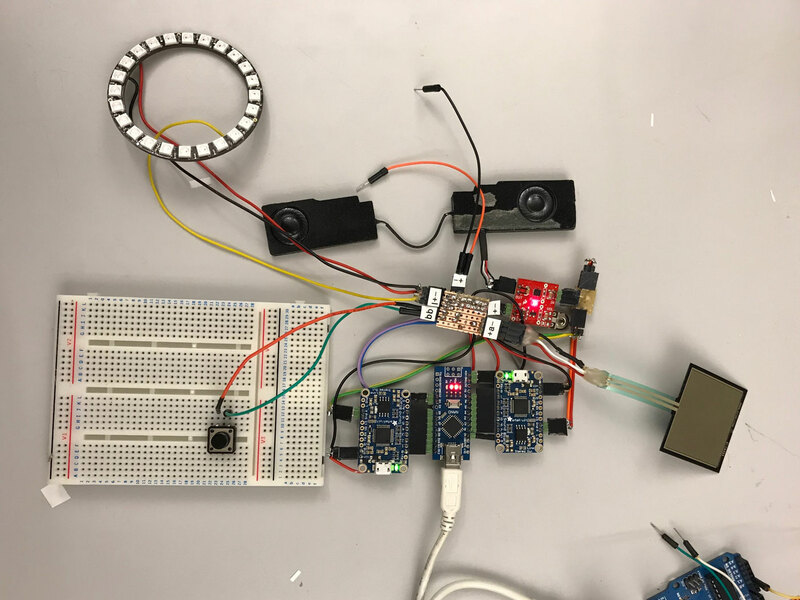 How might we use sound to guide a visually impaired parent through the bottle feeding process and make them more independent in raising their children? For parents with visual impairments, feeding their baby with a bottle can be a struggle. 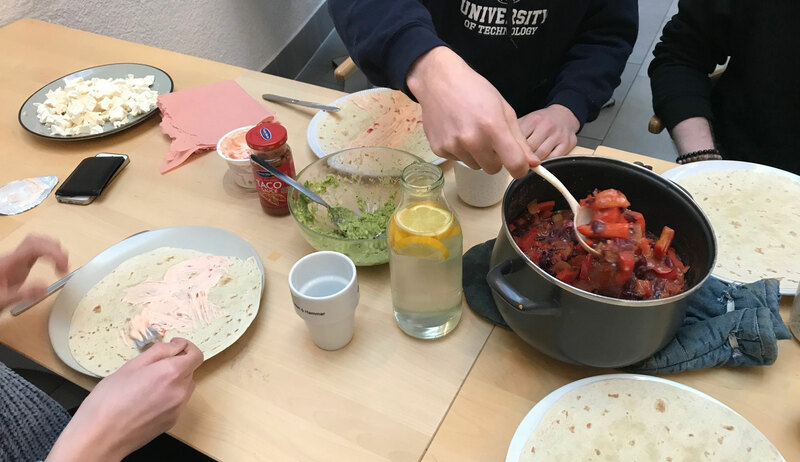 What if we could make these parents independent and give them a tool that supports them to prepare the food and feed their baby on their own? 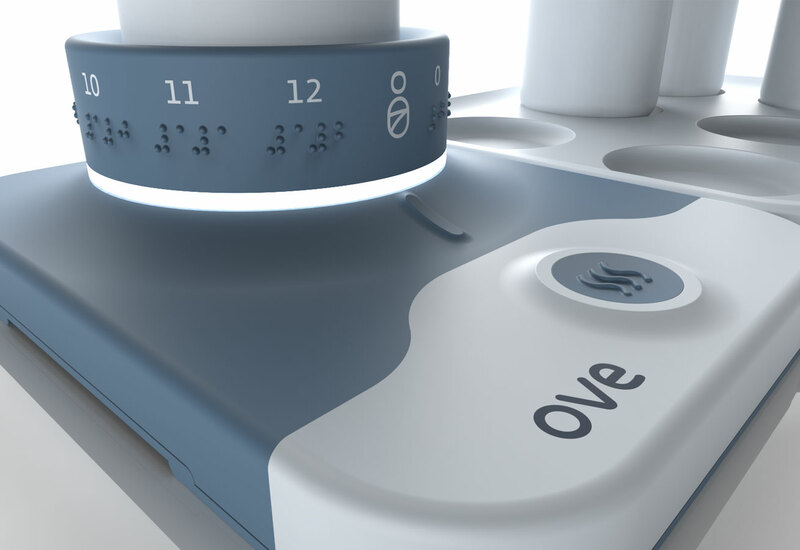 Ove is a bottle feeding preparation station where the parent is guided by the sound and bright visuals to mix the correct amount of food powder/formula and heat the bottle to the right temperature. Helping them take a precise amount of formula and water, and making a station that will be easy to navigate and use. Ove is not just helping tool it’s an object that represents a need for independence and social discourse. It was challenging to get in touch with someone who is our persona and who will spare their time for us to discuss this sensitive topic in such a short time. Luckily we got answers from Blind Unions and managed to get in contact with some people. The visually impaired parents that we interviewed had troubles with measuring the right amount of water and formula amount, especially the water amount, which was a consistent challenge for all of them. In most cases, they have their partners or spouses prepare the right amount of water in advance. 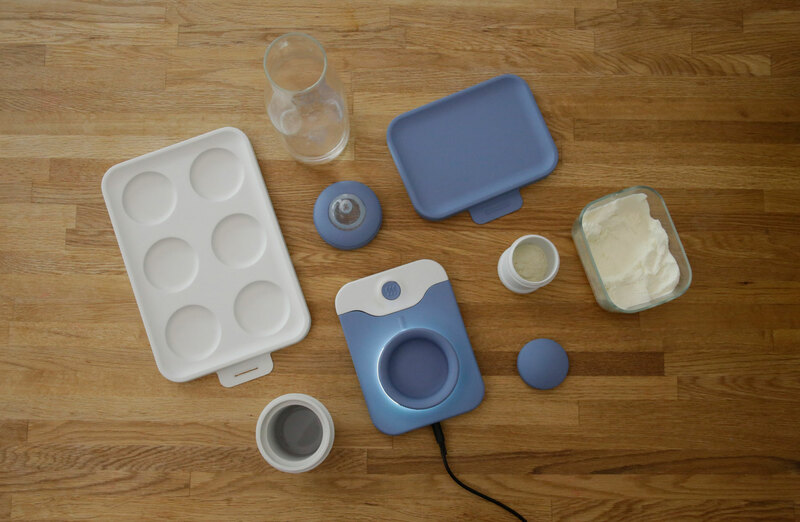 Ove solves this by giving sound and light feedback to the user, for the right amount of powder and water. In this way, these parents can deal with unexpected situations and be more independent. 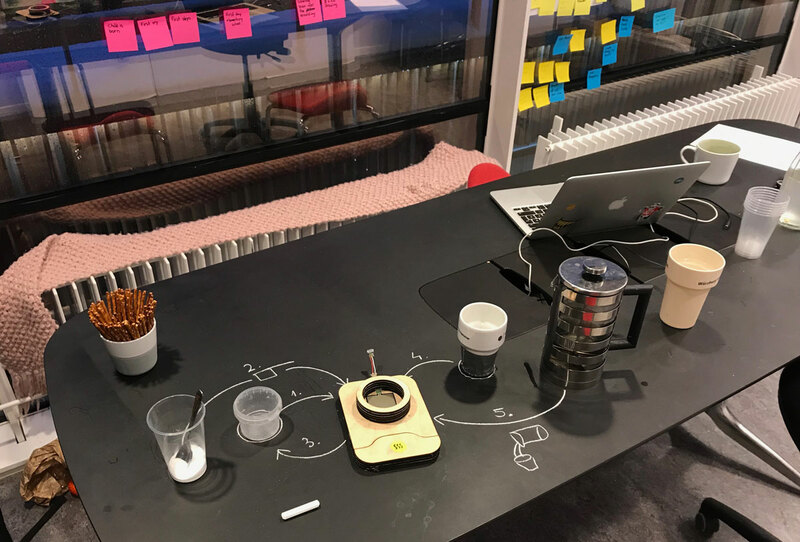 Creating a product that will allow visually impaired parents to easily clean and sterilize the workspace, guiding them through the right dosage of formula and water. And finally, making them independent when it comes to feeding their baby. We created a bottle feeding station which is self-explanatory, using light and sound to notify the user. Water heater Most babies prefer having warm milk, for this reason, Ove can heat up the bottle until room temperature, so the baby doesn’t have to get cold lips. Challenges are not just in bottle preparation. Making sure that station surface is clean and sterilized, that everything is in its place is something that we also considered in our design process. 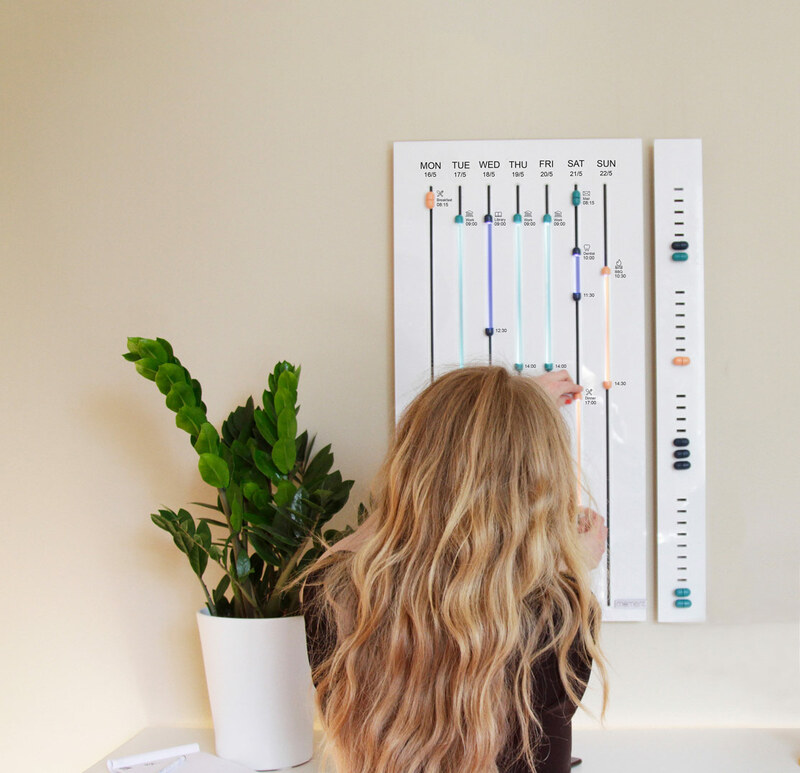 The project was a two-week sprint in collaboration with one student from Advanced Product design and three of us from Interaction design. Creating a project in this short period required fast decision making and clear communication of what we wanted to achieve and deliver between ourselves. Building a high-level prototype, defining a process and user journey was something that was built on the go. Once we had a clear vision of what we wanted to achieve, we all dived into this magic moment when we are building on top of each other’s skills and experience. We were aware of that we’ve just scratched the surface of this particular issue, but invitingly opened a discussion of how to design for inclusion. We did research studies to evaluate our sounds. 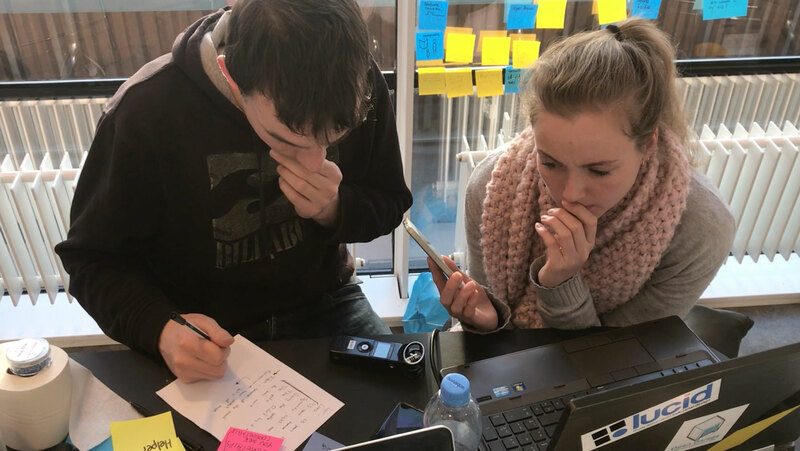 With a low-fi prototype, we created multiple user testing sessions, trying to see how the sound will guide users through preparation and dosage. 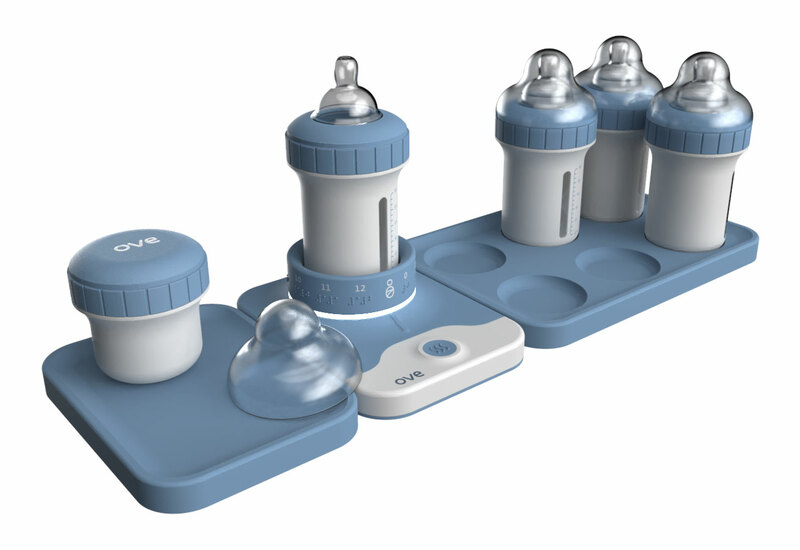 With some quick interactions, we created a sound flow that guides our users correctly through the bottle feeding preparation process. 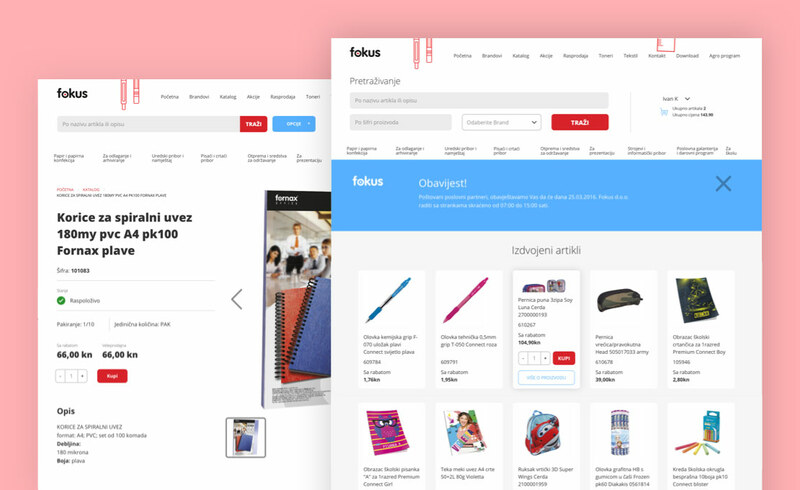 With user testing, we got insights for the improvement of how to communicate more clearly: in one way more informative, but also soft and subtle. 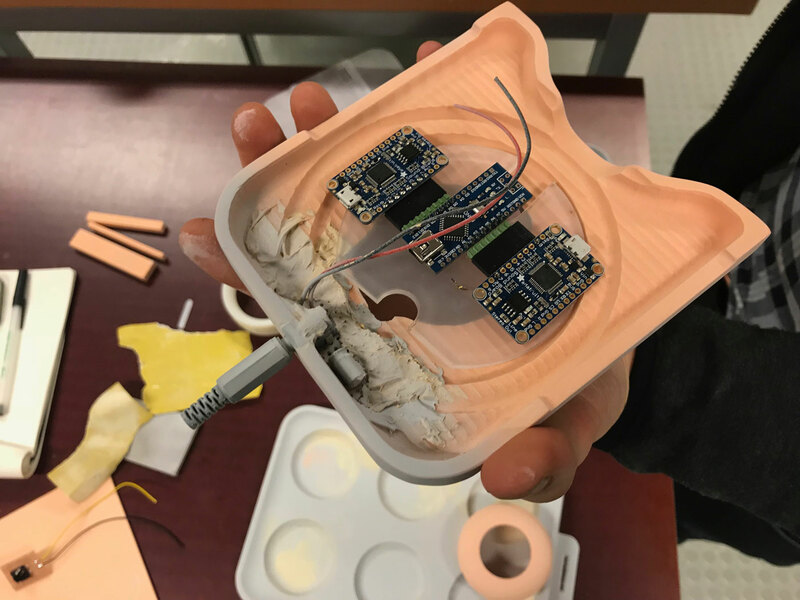 To make everything spicier, we decided to have speakers, electronics, and sensors inside the prototype, which resulted in a product that people thought was fully functional. We had to plan the architecture inside of the model early and tweak the sounds for a small amplifier and even smaller speakers. It’s easy to be satisfied with a sound listening to high-quality speakers, but once you put it through small speakers the reality forced us to use filters and reduce bass. Between prototyping and designing, we worked on visual materials and branding of Ove, an icon set, a logo and some presentation material. We also had an awesome idea for packaging which could be a part of the product, but having just 2 weeks for the project we had to kill darlings that might affect the rest of the project. We all completely committed to the project during those 2 weeks, but teamwork is not just hard work. It’s also caring for each other and having a healthy life balance. Nice way of practicing some balance is cooking together!